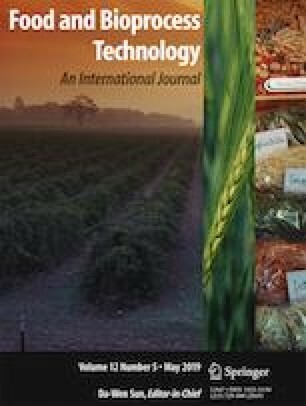 This work explores the functionality of oils from brewer’s spent grain by supercritical fluid extraction. The process was performed at 20 and 30 MPa, and 40 and 50 °C without and with ethanol as co-solvent in percentages equal to 4 and 8%. Supercritical fluid extraction was compared with Soxhlet using hexane as solvent. The extracts were characterized for their antioxidant capacity by 2,2-diphenyl-1-picryhydrazyl radical (DPPH) assays, total phenolic content by Folin–Ciocalteu assay, fatty acid profile by GC-FID, and oxidative stability by isothermal calorimetry. Moreover, their capacity to retard the oxidation of linseed oil was also studied. Samples from Soxhlet and supercritical carbon dioxide (30 MPa, 50 °C, and 8% of ethanol) showed the highest yields (6.1 ± 0.3% and 6.5 ± 0.1%, w/w), recovery (78.3 ± 2.1% and 81.3 ± 1.8%, w/w), total phenolic contents (28.3 ± 0.5 and 26.2 ± 0.3 mg GAE/g of sample), and antioxidant activity (16.7 ± 0.1 and 14.2 ± 0.1 mg TEA/g of sample). The fatty acid composition of brewer’s spent oil extracted by SFE was similar to that extracted by Soxhlet. The same extracts also reported the highest oxidative stability and ability to slow down linseed oil oxidation. Giovanna Ferrentino and John Ndayishimiye contributed equally to this work. The authors received financial support from the Province of Bolzano (Landesregierung mittels Beschluss Nr. 1472, 07.10.2013).